Updated 11/16/16: This article has been updated to reflect an interview with Charles D. Heywood’s granddaughter Barbara Nilmeier. No one seems to remember Charles D. Heywood. When Jesse Arreguin was elected to be Berkeley’s next mayor, news outlets across the Bay Area not only acknowledged that he would be Berkeley’s first Latino mayor but also that he would be the city’s youngest. But that title undoubtedly belongs to Heywood. 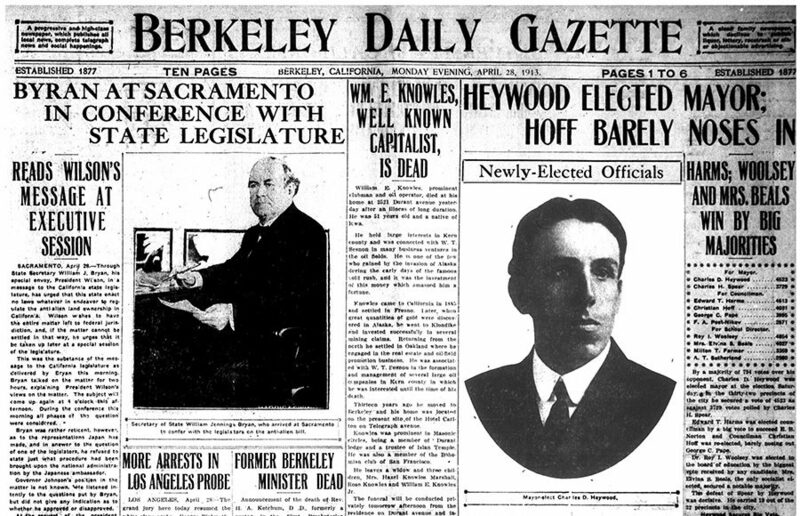 A one-term Berkeley mayor, Heywood was just 31 years old when he was elected to the seat April 26, 1913, making him about two months younger than Arreguin — who turned 32 on Sept. 4 this year — when he was elected. “Jesse Arreguin was elected and everyone was saying he was the youngest, and somewhere in my memory I remembered Grandpa — he was 32-years old (when he took office)” said Barbara Nilmeier, one of Heywood’s granddaughters. Born May 5, 1881, Heywood was a successful businessperson, serving as president of the Berkeley Lumber company, “one of the most successful business organizations on this side of the bay,” according the now-defunct local newspaper the Berkeley Daily Gazette. Hoping to capitalize on his business expertise, Heywood emphasized the need for the city to prioritize sound financial practices and improved infrastructure. Heywood came from a prominent Berkeley family with political and social clout — his father, Samuel Heywood, was a president of the city’s Board of Trustees when Berkeley was still incorporated as a town in the late 1800s. “Charles D. Heywood stands for business efficiency in municipal affairs and service protection of competent employees, adequate educational facilities (and) respect and honest administration of city finances,” read an endorsement in the Berkeley Daily Gazette. His opponent was Charles H. Spear, who had served as Berkeley’s town clerk for a number of years, as well as chair of California’s Republican campaign committee. 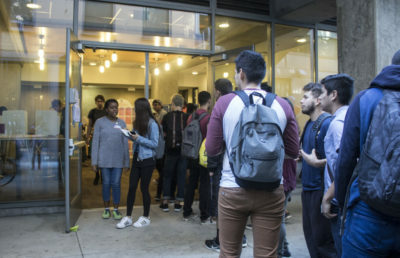 “I shall pay attention to all the people’s interests because I have no business interests of my own that may at some times conflict with theirs or hinder me in the administration of my office,” Spear had said to the Berkeley Daily Gazette. But despite Spear’s past local government experience, Heywood won with 4,523 votes, beating Spear by 794 votes. He later took office July 1, 1913, replacing socialist mayor J. Stitt Wilson. By the end of Heywood’s term, the city had allocated $15,000 annually, or more than $360,000 every year when adjusted for inflation, to complete the city sewer system and installed a municipal garbage collection program. In addition, Heywood oversaw the creation of several new schoolhouses and establishment of a civil service commission and a park commission. Though confident his incumbency would allow him to win the seat again, Heywood failed to even make it past the city’s primary elections for mayor in April 1915. Nilmeier said that while the newspapers may have claimed Heywood was a great businessman, the story told in their family suggests the success didn’t last forever. After many of the campus buildings finished construction and a major fire ripped through the city in 1923, “lumber went out of fashion,” Nilmeier said, prompting Heywood to pursuit politics later in life. 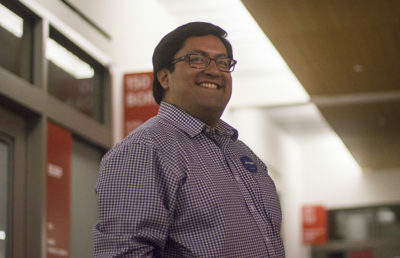 Serving as Berkeley mayor, however, would mark the peak of his political career. But more than 100 years later, Heywood’s legacy as the city’s youngest mayor — though largely forgotten — remains untouched.